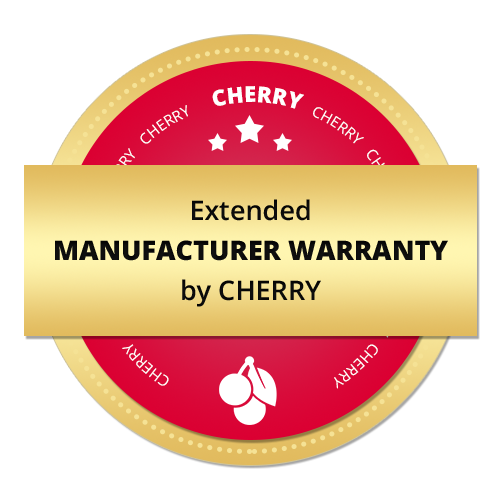 Housing color: Product dependant, see table "Models"
Key color: Product dependant, see table "Models"
The CHERRY DW 9000 SLIM desktop set stands out due to its innovative functions, excellent workmanship and trendy, flat design. 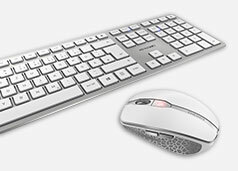 The mouse and keyboard can be connected using the 2.4 GHz wireless USB receiver included with the set, or by Bluetooth®. You can switch connection types in an instant using a switch on the mouse or keyboard. This allows e.g. a laptop to be operated using Bluetooth®, as well as allowing a PC to be operated using the same desktop by means of a wireless connection with AES encryption. The data are transferred using an AES-128 encryption in both cases. 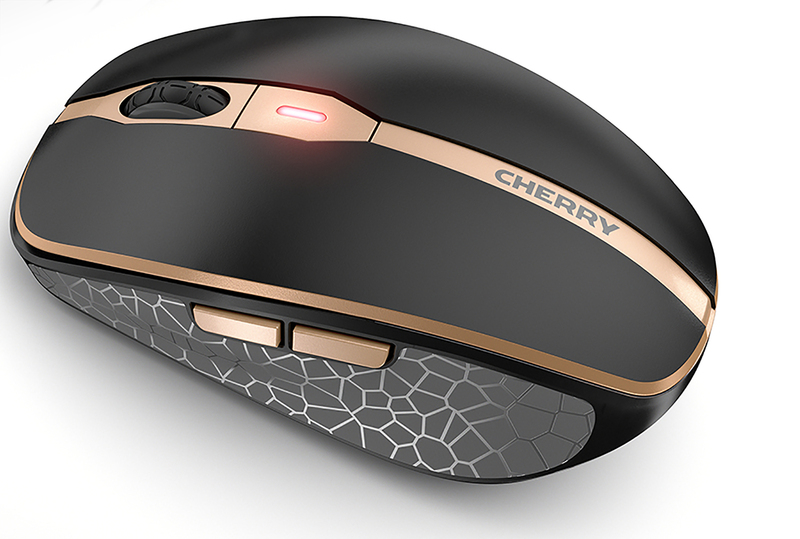 The CHERRY DW 9000 SLIM set features rechargeable lithium batteries that allow you to work throughout the week. You can then conveniently charge the mouse and keyboard using the micro USB cable included with the set, even while you are working. To ensure that the rechargeable batteries are still charged after a holiday, use a switch to turn off the keyboard and mouse altogether. 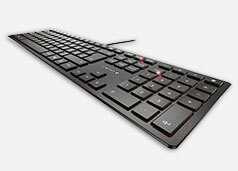 The keyboard contains an integrated metal plate, lending it an optimal sturdiness and stability. Should you prefer a steeper angle while typing, you can adjust the keyboard using the 4 rubber feet included with the set. 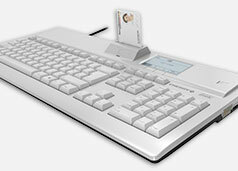 High stability is ensured by the metal plate, which prevents bending and bounding when typing. 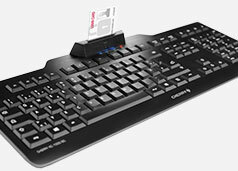 The use of high-quality scissor mechanisms with a low key stroke ensures an ideal typing experience. Status LEDs integrated directly in each key provide information on whether the CAPS LOCK, SCROLL and NUM keys are activated. In addition, these keys flash to warn that the battery charging status is low. The 6 additional keys have proved to be extremely convenient and practical: “Windows lock”, “Open browser”, “Quieter”, “Louder”, “Mute” and “Open calculator”. 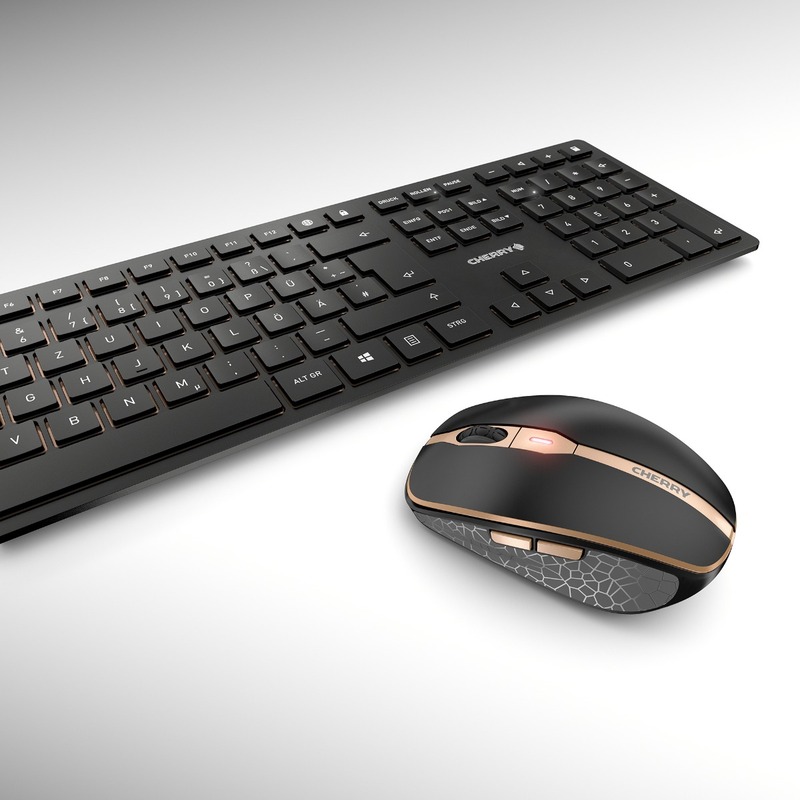 The mouse, which harmonizes with the keyboard perfectly, also boasts a wide range of features. 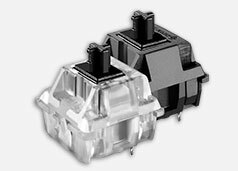 It fits ideally in the user’s hand thanks to its rubber-coated side parts and a compact design. The resolution can be set in three stages at the touch of a button: 600, 1000, 1600 dpi. A two-color status LED provides the user with information on the battery status, the charging status, the selected resolution or the connection status at all times. An extra-durable mouse wheel with optical scanning and a magnetic storage feature for the USB receiver are further details that ensure nothing is left to be desired. 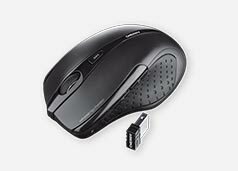 The mouse is equally suitable for mobile and stationary applications.